The Minister channelled her inner millennial and came up with a meme to troll the newly married couple. Ever since it was revealed that Ranveer Singh and Deepika Padukone have adopted a no-photos-on-phone policy for their wedding, fans and some key Ministers from the government are eagerly waiting to get a glimpse of the newly married couple. At this point, semi-blurry and poorly photographed pictures have been doing the rounds as there haven't been any high definition leaks. The collective wait is making everybody anxious. But who'd have thought that Smriti Irani's Insta post would crystalize al that we've been feeling? 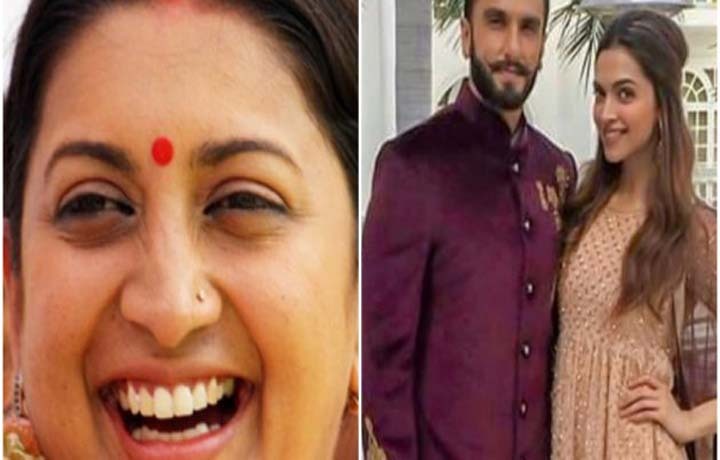 Irani, who is currently Minister of Textile, revealed her millennial side when she posted the following image with the caption: "When you have waited for #deepveer wedding pics for too long"